I came to this Department from the University of Saskatchewan where I had been on faculty in the Department of Educational Administration. I completed my doctoral work here in the area of Postsecondary Education and my Masters is in the Social and Cultural Contexts of Education. My undergraduate degree is in Secondary Education. Before teaching junior and senior high school in the County of Athabasca, I worked in the Registrar’s Office (U of A). 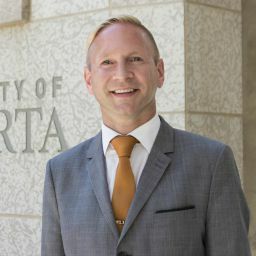 Prior to becoming a faculty member, I was an administrator in the U of A teacher education program and was responsible for the coordination of the student teaching program. While most of my scholarship is situated in teacher education, its implications extend more broadly to the study of postsecondary education. In my research, I usually employ mixed methods though my research passions lie in using interpretive frameworks, specifically narrative and life history work.